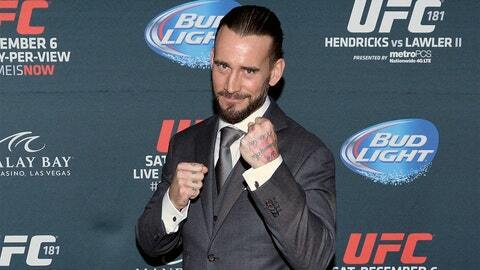 Phil 'CM Punk' Brooks faces a lawsuit from a WWE doctor. Christopher Amann, who has been a WWE ringside doctor since 2010, filed a suit in Cook County Circuit Court in Illinois alleging that Punk (real name Phil Brooks) defamed him with statements made in an interview on friend Colt Cabana’s (real name Scott Colton) “The Art of Wrestling” podcast. Late last year, Punk absolutely annihilated the WWE in an interview with Cabana, outlining all the reasons that led him to quit the organization. One of his biggest issues was the poor medical treatment he received for multiple injuries, such as knee and elbow problems, and how he was always pushed to rush back from the recovery. He said Amann was negligent in treating his concussion and repeatedly misdiagnosed an abscess on his back. Punk says he repeatedly complained to Amann about the growth and was continually told it was just a fatty deposit and he only needed antibiotics for it. Punk said he had to go to his wife’s doctor, who diagnosed it as a potentially life-threatening staph infection and had him go to the hospital to get it cut out. Punk: … And that day I showed Doc that thing on my back which was now purple and the size of a f—ing baseball. Punk: He went ‘does it hurt?’ And I went ‘yeah, actually, it hurts like a mother—-er.’ And the waistband of my tights was like right on it so I was constantly aware of it. It was so big I felt like if I bumped on it it would burst. But, like, I can’t pop it, it’s not like a f—ing zit or anything. He’s like ‘well, I would cut it out now but you’ve gotta wrestle in the (Royal) Rumble. I would probably want to put you on some antibiotics before I put …’ and I went ‘motherf—er, I’ve been on antibiotics since November. What are you doing? Just cut it! Cut it right now!’ He won’t do it. He just wouldn’t do it. I didn’t get it. So I gotta do this s—t, I’ve gotta wrestle in the Rumble, I’m number one and I’m getting thrown out right at the end. Amann claims Brooks and Colton “knowingly fabricated the false and disparaging statements” about him, knowing they would be heard by third parties, such as WWE fans and the media, given their celebrity statuses. A factor in the damages for the case is that they say the podcast was heard by a million-plus people and disseminated by multiple media outlets. If you ask me, I would be inclined to guess that Amann was acting in the WWE’s interest when it came to treating the wrestlers, and that Punk was probably justified in his complaints. Heck, if he felt like he couldn’t trust the company with his medical status to the point that he left, it probably was a pretty serious and legitimate issue.